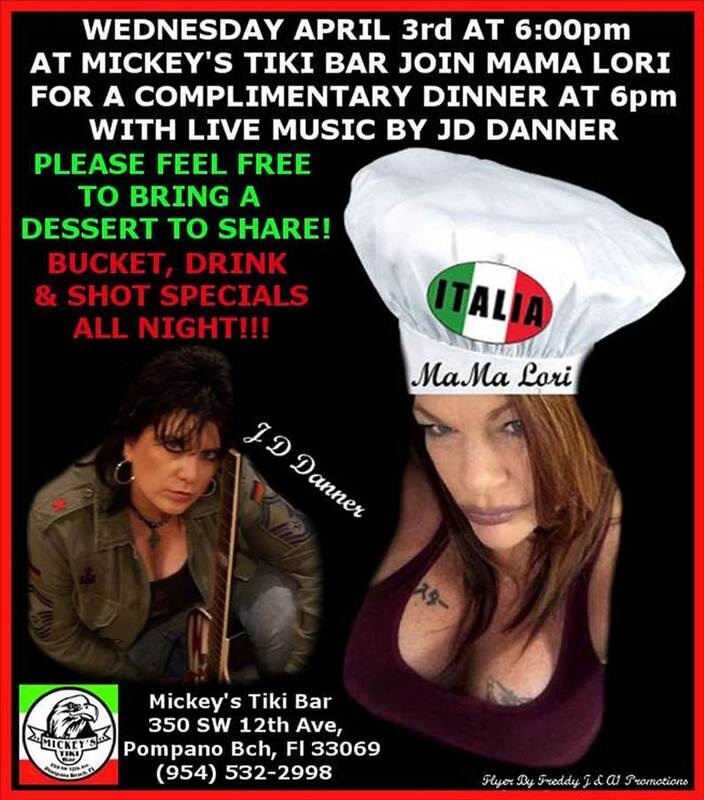 Wednesday, April 3rd at 6:00pm at Mickey’s Tiki Bar “PLEASE FEEL FREE TO BRING A DESSERT!! !” Bucket, Drink & Shot Specials all night!! !